Chicago Public Library Teen Services and YOUmedia are excited to announce the first in a series of College & Career events for teens! 1st Saturdays Careers in Focus will be a monthly event where teens can explore college and career pathways in a fun and interactive format. Each month will feature a different industry, creating a targeted, interest-based experience. 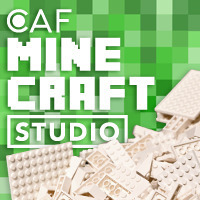 Spring into Design at CAF's Minecraft Studio! Chicago Architecture Foundation invites fifth to eighth graders to explore design with Minecraft and LEGO! 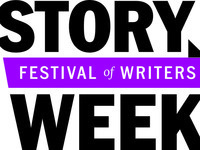 Young Author Playlist Students to Perform at Story Week! Chicago City of Learning's Young Author Playlist writers will share stories that they have developed over the past 2 months. Come out to support our young writers! And bring YOUR young writers with you! The team for the Chicago Teen Literary Fest is hosting a Teen Think Tank at YOUmedia on March 14th, from 1pm-3pm for the Chicago Teen Literary Festival. We are having an open call for teens to come and brainstorm with us around the festival and share their thoughts on planning. Rediscover "The People's Palace" at our FREE (except where noted) Chicago Cultural Center Spring Open House. Enjoy art, music, films, tours and more - including a preview of the Archibald Motley: Jazz Age Modernist exhibition and a bonus Chicago WinterDance featuring Charleston lessons and live 1920s jazz. On Saturday, February 28, from 9 am to 4 pm, teams of middle school kids will come to the Adler Planetarium to work alongside charities and web developers to design tools that address their community's issues. Youth Ages 3-11 Visit MSI for Free All of February! Through February 28, MSI is offering free Museum Entry to kids ages 3-11! This is a perfect time to escape the house, beat the winter blues and experiment in fun at MSI with the whole family! Have you ever wondered about the engineering marvels you see around you every day? Join us at E-Fest, on February 21st and 22nd to meet and learn from Engineers!